You can imagine my horror when I returned from Japan last year, thinking it would be years before my next trip back, only to realise we had completely missed the takoyaki museum in Odaiba, mostly because we had chosen to go to Venus Fort and Palette Town instead of Decks City. Thank goodness for unexpected second chances. If you want to escape the crowds of Tokyo, there's no better way than going to Odaiba early in the morning, on a weekday. The place - as I described last year - is a sprawling mass of high walkways and open spaces, kind of reminiscent of Sunyshore City in Pokemon Diamond, and is basically completely deserted. By 'early', aim for about 10AM because many shops don't open until then, though you can definitely walk around the shoreline for awhile to pass the time. Though maybe not in winter. And while waiting for the Decks Shopping Mall to open because you clearly haven't planned your day properly as advised above, you can ask your travel companion to take a bunch of shameless OOTD photos that actually reveals very little of your outfit. The 'museum' part of the Odaiba Takoyaki Museum is more playfully figurative than the historical takoyaki displays I had been (subconsciously) picturing. 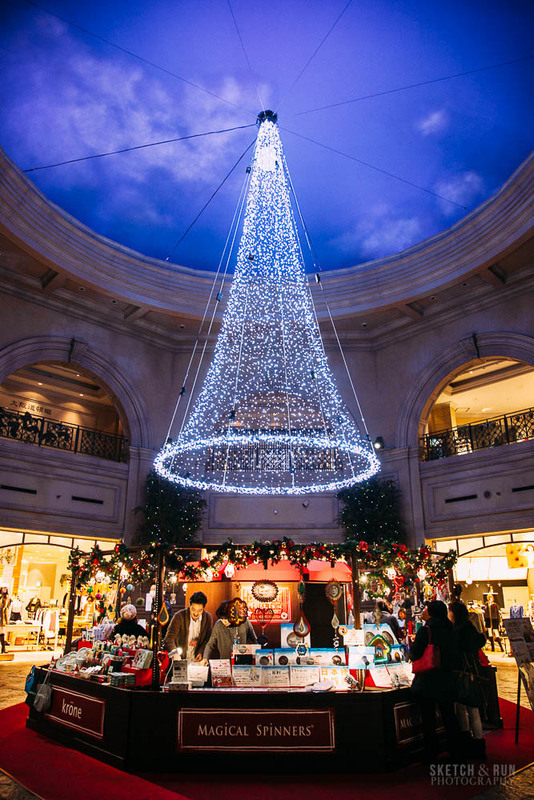 The bulk of the museum comprises around six different takoyaki stores organised around a small food court for you, presumably so you can absorb the longstanding history of this Osaka specialty through your stomach lining (sorry for that mental image). The food court does boast great views of the Rainbow Bridge and harbour, and also has a shop with - you guessed it - takoyaki-themed goods, mostly materials to help you make your own takoyaki and food souvenirs (which included takoyaki-flavoured caramel. We were not brave enough and a little poor to try it). I’m going to tell you a secret right here and now –Gindaco is better. Sure, the museum takoyaki definitely satisfied the cravings, but Gindaco's takoyaki shell manages to be crunchy with an oozy inside, whereas all the takoyaki elsewhere tends to be a little…deflated and mushy. Your mileage may vary. The one thing I do recommend is the prawn takoyaki, which I'm not sure Gindaco has. And right downstairs, in a sort of 'blink and miss it' section of the mall, is a small Ramen Museum of much the same nature. Ramen in Japan varies more distinctively by region - from the toppings used to soup base to the type of noodle - and there's a small board helping you pinpoint which region you want to try. Unfortunately, we charged in there with the determination to try all the ramen and found we could barely stomach more than one bowl, even after the chef kindly made us a special half-portion to share (takoyaki is very filling). Maybe if you ran for about two hours up and down the Fuji TV station stairs. We tried the Hokkaido butter ramen, which had a surprisingly spicy broth. It must be a thing in cold countries but after all our Seoul food adventures...let's just say we would have comfortably settled on some light miso. It was very good though. Visit both museums with a huge bunch of friends so you can sample all the varieties. I don’t know if it was evidence I had inadvertently been influenced by Japan since childhood but so much of Haikara Yokocho felt very familiar and nostalgic for me, though it had considerably less effect on Cissy who clearly did not voraciously snack on Asian junk food as a child (and still doesn’t). 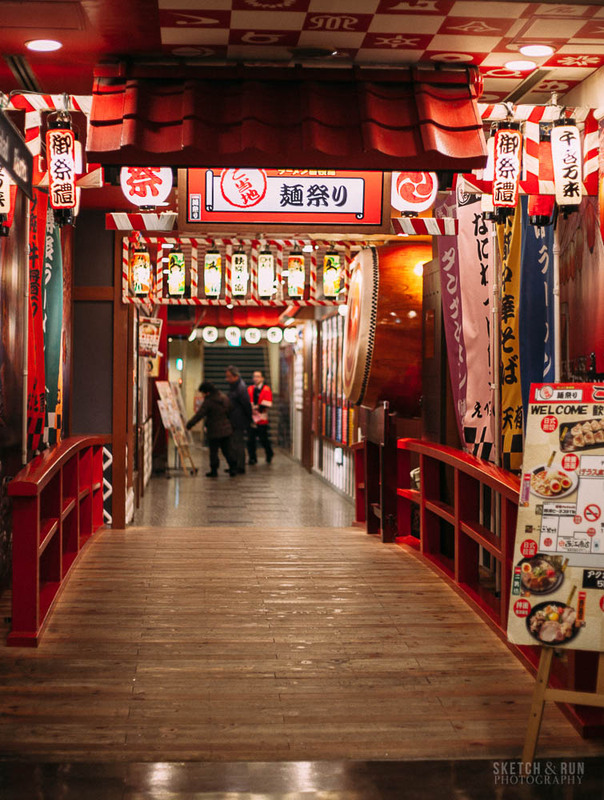 Billed as a nostalgia alley for old Japan, Haikara Yokocho is filled with shops that house merchandise and snacks from bygone eras. 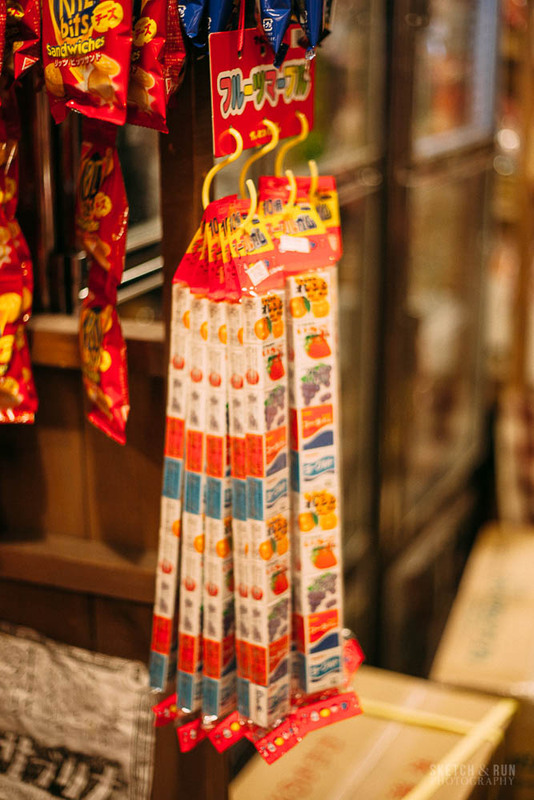 We’re talking glass-bottle cola, chewing gum balls, whistling candy, 小馒头 (little mantou or manjuu or mandu, depending on if you're Chinese, Japanese or Korean. Bless East Asian linguistic cross-pollination), soy sticks and candy cigarettes, to name a few. Other shops had retro arcade games and figurines. Definitely worth a visit for a unique experience and aforementioned voracious snacking. Ending with Venus Fort being stunning (and unchanged).